Two chars canons crossing obstacles. 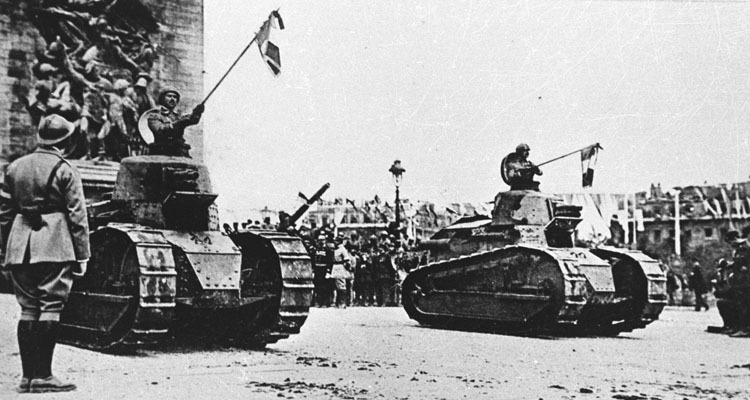 The FT was a radically different design to previous British and French tanks. Rather than a large, heavy vehicle, the concept behind it was for a small and light tank that would be more manoeuvrable, harder to hit and could be fielded in large numbers. 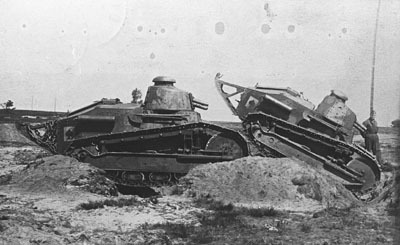 The tanks would be used in swarms to overwhelm German defences with mobility and mass. The new tank faced immediate obstacles. After the prototype was demonstrated on the 30th December 1916 objections were raised by both politicians and military officers. 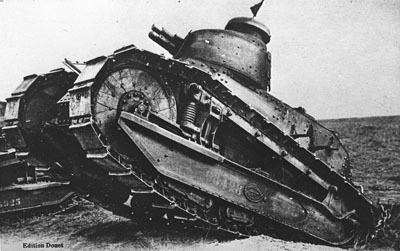 The tank was considered too small to be useful on the battlefield. There were also concerns around manufacturing the numbers required, with a shortage of armour plate being a particular issue, along with questions over the relative priority of FTs and other vehicles. A char canon, armed with the 37mm SA18 Puteaux gun. The FT’s problems followed it into production and service with the Army. As feared, the sheer size of the order stretched the capacity of the available factories, and only 114 had been built by October 1917. The two man crew looking through their open hatches. 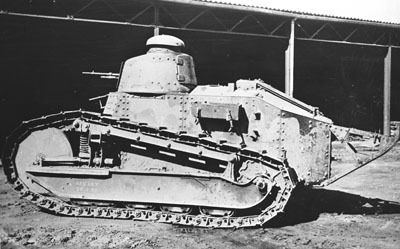 Often considered the first modern tank, the layout of the FT was revolutionary and has been used on almost every tank since. 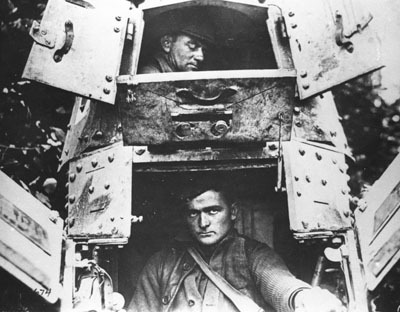 The driver was in the front of the hull, the engine in the rear and a 360 degree rotating turret with the rest of the crew (in this case just 1 man) on top.